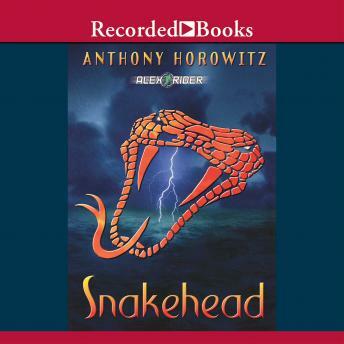 Best-selling British author Anthony Horowitz returns with an adventure featuring teenaged hero Alex Rider. After a daring mission in space, Alex returns to Earth, crash landing in Australia. There, the Australian Secret Service promptly recruits him on a special case. This time he'll have to infiltrate a deadly Asian drug gang known as the Snakeheads-and once again face his arch enemy, Scorpia.